In 2018, more than $500,000 was raised by organizations from SOLVE to soccer teams to the Oregon Food Bank. Many a Master Recycler has leveraged the dollars from the bottle bill to support projects in their communities. TWO Master Recycler Classes Graduate This Fall! Congratulations to Washington County Fall Class 69 and Trash for Peace Community Design Class 70. Both Classes graduated last week! Participants from the classes have so much commitment, passion and ideas for projects it is going to be exciting to see what they do! Thank you to Washington County for hosting the fall class where 27 people graduated. Twelve of the members have already started volunteering, reporting 44 hours just a week after graduation. ¡Felicidades a clase 70 y bienvenidos! 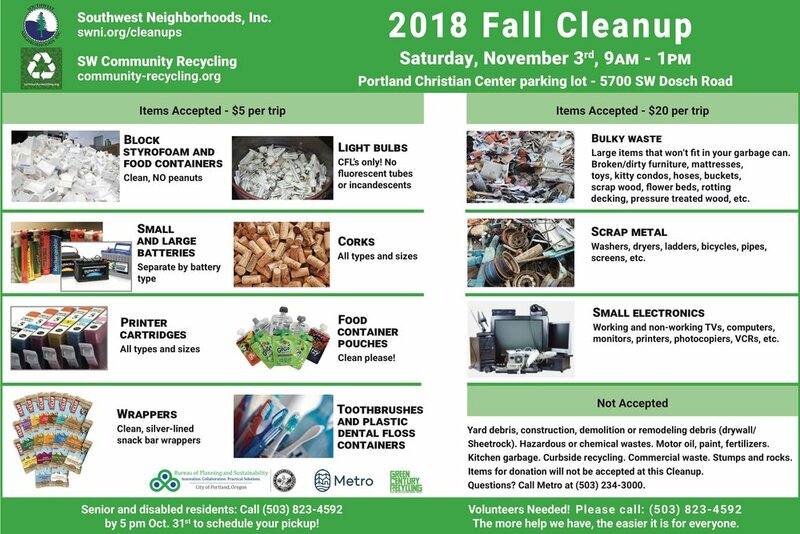 Thank you to Trash for Peace, the City of Portland, Metro and the City of Gresham for special support for Class 70 which was a pilot project for a future program called the Master Recycler Community Designed Class. Nineteen people from three Homeforward Communities came together to learn and focus on efforts specific to their communities. The pilot finished on Saturday, so a full report will be shared later. The Master Recycler community welcomes the 50 new Master Recyclers from these classes! Spread the word! ¡Bienvenidos a los voluntarios bilingües! WHEN: Eight consecutive Thursdays at 6:00 - 9:00 p.m. Starting January 9, 2019 and two Saturdays 8:00 am - 2:00 pm January 12 and February 9. Don't Forget to Report Your Hours! There are three tables, three dates and two shifts: please indicate which date, time and topic you would like to do. Be Cart Smart: Answer questions about residential recycling and composting. Includes a fun cart sorting game. Resourceful PDX: People share their ideas and stories about where they reuse, fix and maintain, borrow, rent and share. Includes a map where people share the places they go. Portland CAN: Save Your Food: help people stop food waste with tips and resources on food storage and meal planning. Includes a fun food storage game. 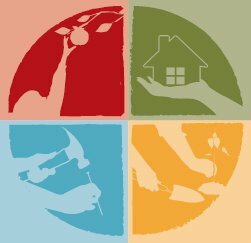 Healthy Homes: Join Metro staff to engage residents in ways to use less-toxic ways to clean, maintain, repair and improve the home, control pests, care for pets and more. Thank you to four Master Recyclers who completed over 100 hours last month and reached the special status as Centurion Master Recyclers! Megan Chandler (Class 45) worked in 2011 with the City of Portland's Sustainability at Work program to help her work place, PAE Consulting Engineers, achieve Gold Certification. Recognized at Sustainability at Work's highest level of certification, PAE completed more than 86 actions to benefit our local economy, our community and our environment. Megan more recently organized Recycle Month at PAE which was a month-long series of events and presentations, refreshed graphics and signage, articles, film showings, DIY classes, art from waste, and community postings. 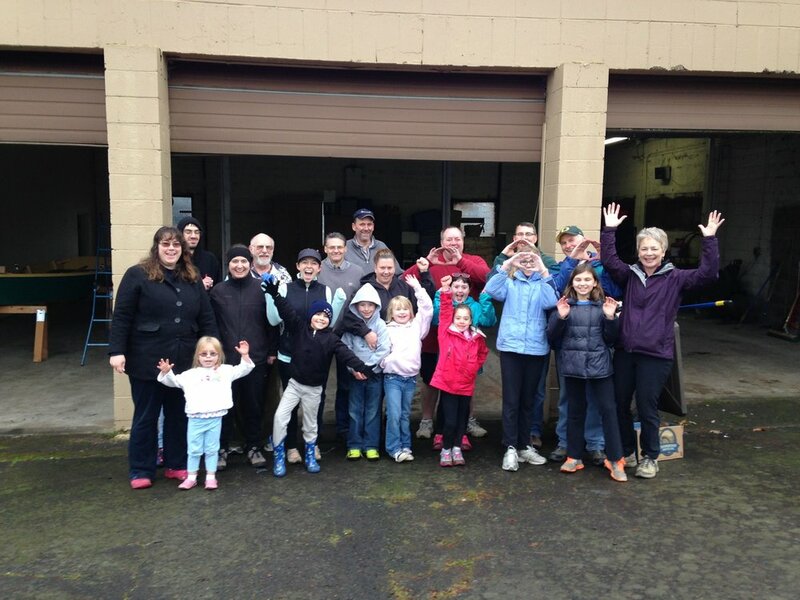 Janet Rabe (Class 54) has been quietly spending hundreds of hours in Hillsboro teaching recycling, collecting recycling and raising funds all at the same time. Contributing 270 hours, Janet organizes a bottle recycling event every 1st Saturday at Farmington View Elementary School. At times Boy Scout groups have partnered as well as other youth organizations. The funds raised help support the Excellerated Math afterschool program at the school. Carey Booth (Class 55) staffed a table at six Fix-It Fair's. She also participated in 4 Sunday Parkways and several days at the Milwaukie Farmers market. Carey decided about a year ago to wear her enthusiasm for recycling not just on her sleeve, but her whole jacket. She created a mobile display of how to sort your recycling that grabbed the attention of people from the Division Street Fair to the Milwaukie Harvest Fest. She calls it her mobile recycling booth. Sally Oakes (Class 64) volunteered all over the region, joining the Metro Healthy Homes booth engaging residents on toxics in body care and home products, joining the crew at the Milwaukie Farmers' Market talking about recycling, even joining bilingual outreach coordinator, Eva Aguilar engaging folks and food waste at el Grito in Cornelius. The especially remarkable thing about Sally, is almost every Master Recycler she has partnered with has made it a point to say that she is a delight to work with. Tracker Bob (Class 63) completed over 30 hours this month, becoming a Certified Master Recycler. Bob spent more than half of his volunteer hours promoting reuse, salvage, deconstruction and green building with the Rebuilding Center at Home and Garden Shows. He also joined Metro at the Healthy Homes booth at El Grito in Hillsboro. Bob completed his hours by organizing a recycling booth at the Air BnB Host Conference. To continue the 2018-2019 West Coast Climate & Materials Management Forum Webinar Series, we are hosting a webinar on Popular Material Attributes: How Well Do They Actually Predict Environmental Benefits? Businesses, policy-makers, and the general public often rely on simple attributes to inform material selection. These attributes – such as “recyclable” or “compostable” – are widely assumed to result in reductions in environmental impacts. But how valid are these assumptions? The Oregon Department of Environmental Quality (DEQ) recently asked that question and was surprised to discover very little systematic assessment of them. So it commissioned a study – the results of which are being published this fall – that reviewed the last 18 years of global research into the environmental impacts of packaging and food service items with and without four popular attributes: recycled content, recyclable, bio-based and compostable. Collectively, the literature identified the relative environmental impacts for thousands of comparisons, from which some important trends emerge that should inform product design, procurement, and waste management programs. David Allaway and Peter Canepa of Oregon DEQ will present the study motivation, methodology, results and recommendations, leaving plenty of time to discuss these important results with attendees. Every day, residents and businesses of greater Portland throw stuff away. Metro manages the system that handles and transports all that stuff – some 2.4 million tons every year of garbage, food scraps, yard trimmings, recycling, and hazardous waste – to their final destinations. Over the last 18 months, Metro has worked with communities around the region to shape the future of the garbage and recycling system. This open-house style forum will provide the opportunity for interested individuals to review the draft plan, the upcoming plan adoption process, ask questions and comment on the draft 2030 Regional Waste Plan.